Obituary for Darice Alexa (Green) Johnson | Henry Funeral Home, P.A. 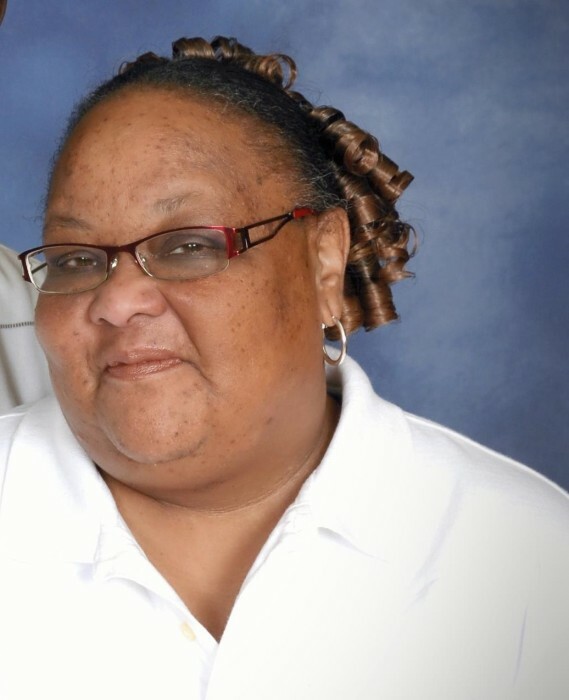 Darice Alexa Johnson, 54 went to be with her Lord and Savior on Monday, April 1, 2019 at the University of Maryland Shore Medical Center at Easton. Born on May 16, 1964 in Royal Oak, MD, Darice was the daughter of the late Howard and Aretta Green. She was educated in Talbot County Public Schools where she graduated in 1982. After high school Darice held various jobs, but her most notable one was being a caretaker. This role was almost second nature for her as it spoke to who she was – a fun loving person who enjoyed people and her family. She loved watching her favorite TV shows like Law and Order and “The Have and Have Nots.” She also had no problem beating anyone who dared to play against her in a game of spades. Darice was joined in Holy Matrimony to Andrew Johnson on January 31, 1993. Darice was a faithful member of Triumph Baptist Church under the leadership of Rev Dr. Lawrence Hood Jr., where her love for Christ grew more and more each day. You could find her on the choir singing the Lord’s praises every chance her health would allow. In addition to her parents, she was preceded in death by a brother, Richard Mills. Darice is survived by her devoted husband Andrew of St. Michaels; her son Tyrez of St. Michaels; step-children: Eugenia (LaDarion) of Easton, LaTia of Preston, and Aarionna of St. Michaels; grandchildren: Jayden and Jakahi of Blades, Delaware; step grandchildren: JaMyia, Jakii and Jaidyn of Easton; step great-grandchildren: Korey and Kameron of Easton; siblings: Jacqueline Roberts(Dewey) of Easton, Howard Green, Jr. of Baltimore, Wayne Green (Violeece) of Royal Oak, Galen of Easton, Denise Green of Baltimore, and Kevin of Cambridge; several special people in her life; a niece Veronica Stevens of Baltimore, nephew LaJuane Stevens of Mechanicsburg, Pennsylvania; cousin: Joyce Chambers Baltimore, a friend Portia Wyatt of St. Michaels, brother in law William Johnson (Marsha) of Easton, sisters in law: Joyce of Bronx, New York and Barbara of Philadelphia, as well as a host of nieces, nephews, cousins, other relatives and friends.